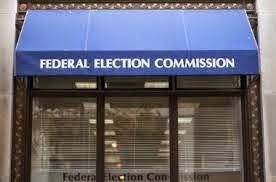 The Federal Election Commission, facing punishing criticism for suggesting that political activity on the Internet should be regulated, rejected talk of new rules Thursday, a victory for GOP commissioners who feared Democrats were targeting conservative sites, even the Drudge Report. During a public meeting, Democrats on the FEC said they were responding to the public outcry in saying that no new rules are required. Democratic Commissioner Ellen Weintraub said the FEC received 5,000 comments demanding the agency keep their hands off the Internet. In response, she proposed a resolution that directly barred Internet regulation. Republicans on the commission had raised concerns that Democrats on the commission were targeting conservative political and news websites like Drudge, and could regulate them.